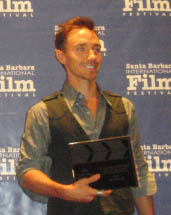 The Santa Barbara International Film Festival opened with the US premier of Henry-Alex Rubin's "Disconnect". The Arlington Theatre was sold-out. Cast members Alexander Skarsgard, Paula Patton, Frank Grillo, Colin Ford, Haley Ramm, Aviad Bernstein and screenwriter Andres Stern walked the red carpet before the performance. 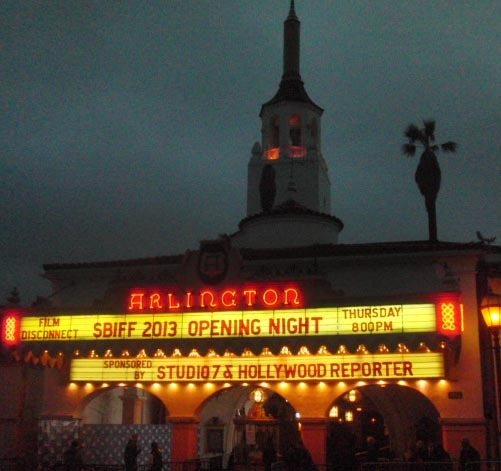 Opening night at the Arlington was a buzz of media, attendees and celebs all ready for ten days of great films, interviews and SBIFF award presentations. The 2013 festival features over 200 films, director and writer panels, 10-10-10 film competition and Apple Box presentations for kids. Ben Affleck arrived to a screaming crowd, and an army of media outlets ready to get interviews and record his walk down the red carpet to receive the SBIFF Modern Master Award. Affleck looked relaxed and happy to be at the Arlington Theatre and spent quality time giving interviews and smiling at photographers. 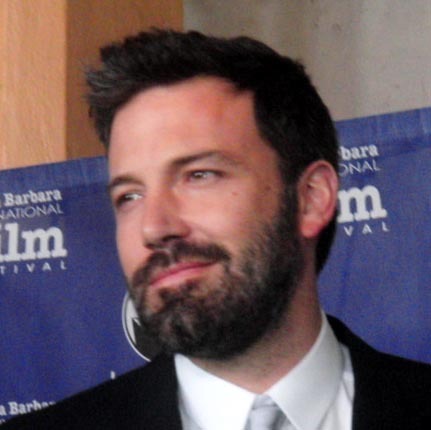 Leonard Maltin was the interviewer, who took a step by step look at Affleck's career. Matt Damon joined Affleck on stage, and presented the award. Damon gave enormous praise to his old friend, and Affleck seemed genuinely pleased to accept the award. "I thank my friend Matt Damon for giving me this award and I hope when he wins I can come and say some things about him, however, I think it would be more like a roast" he said. 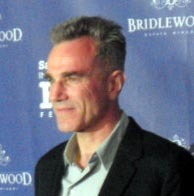 Daniel Day-Lewis seemed quite pleased by the people waiting to greet him in front of the Arlington Theatre prior to his SBIFF award presentation. His on stage interview prior to being presented the prestigious Montecito Award by Sally Field for his inspirational performance in "Lincoln" included a beautiful filmography of the extremely talented British actor's body of work. He shared stories on his youthful and adult studies and experiences in the world of acting, which were executed with his brilliant wit and amazing story telling abilities. Sally Field, who played Mrs. Lincoln, walked the red carpet with director Michael Mann and her half-brother Jim O'Mahoney, and she looked as beautiful as ever. 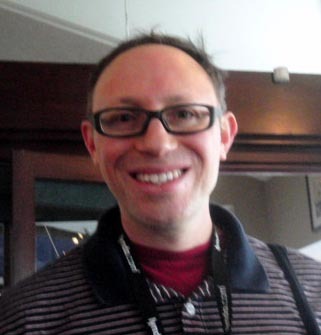 The SBIFF Film Writer/Producer breakfast at The Harbor House Restaurant on Stearn's Wharf was a buzz of activity as attendees' mingled and gave interviews to the press over a delicious bevy of breakfast favorites. 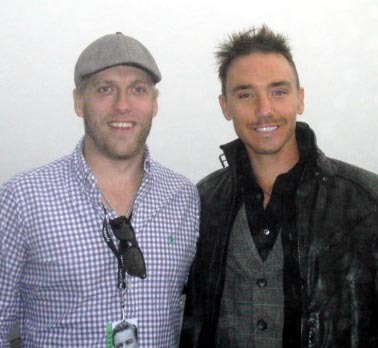 Among those attending were co-producers Waren Needles and Rob Stewart of "Revolution", David Kennard & Martine Saunier "A Year in Burgundy", director/producer Michael Oved Dayan, "High Plains Doctor" and Corey Ogilvie "Occupy". The Virtuoso Award brought a line-up of amazing talent down the red carpet, including Omar Sy Ezra Miller, Ann Dowd, Elle Fanning, Eddie Redmayne and child actor Quevenzhane Wallis. According to Roger Durling, Executive Director of the SBIFF "these awards are given each year for exceptional and noticable performances." The evening was moderated by Fandango's Dave Karger, each award recipient reflected on their performances and shared their stories of creating such unique and genuine characters. Their vibrant personalities brought energy and excitement to the audience. The Virtuoso Awards were presented to the six honorees by Academy Award-nominated director/writer/composer Benh Zeitlin ("Beasts of the Southern Wild"). Leo DiCaprio, who was unable to accept his American Riviera Award due to film scheduling conflicts, had his back covered by writer/director/producer Quentin Tarantino, who filled in for Leo to accept the American Riviera Award. Tarantino won a Golden Globe for his film "Django" starring DiCaprio. Tarantino was thrilled to accept this SBIFF award from Roger Durling. John Horn, LA Times moderated the evening. Amy Adams, who charmed the world as an aspiring writer determined to cook her way through the life of Julia Child in "Julie and Julia" and gave a stunning performance in "The Master" accepted the Cinema Vanguard Award with grace and ease. According to Roger Durling "Amy Adams work in "The Master" made it time to recognize and honor her talent and versitility." Adams described herself as so lucky to have worked with great actors like Meryl Streep and Lenardo DiCaprio, and the many directors who have helped her make her characters come to life. She never anticipated she would be working with such outstanding talents at this point in her acting career. "I never had a plan to get awards or be a star, I just wanted to do my best work." During her interview she shared how touched she is by women she meets who praise her work in "Junebug," and she then began to weep. "Now that I have a child, I just can't imagine what women who have lost a child must endure." 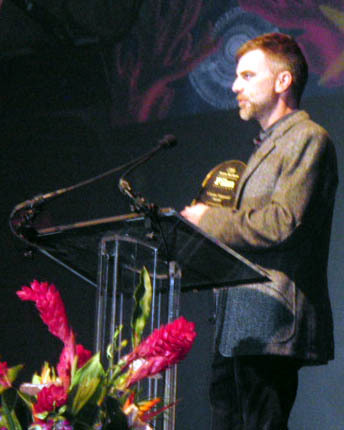 "The Master" director, writer, and producer Paul Thomas Anderson presented the award to Amy Adams, following a fun run down of her amazing credits and personal successes. 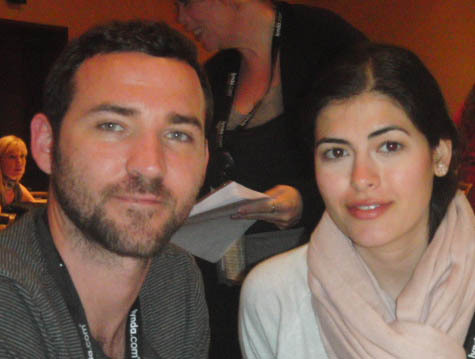 Her co-star in the film, Joaquin Pheonix, was in the audience. At the podium Adams said she had no idea how important this award was, and thanked all the people who have and do play a part in her success from the bottom of her heart. Jennifer Lawrence, who exclaimed "I beat Meryl Streep" when she was presented her recent Golden Globe Award, walked away with a SAG-AFTRA award two weeks later, and who may win an Oscar this month was equally disarming and entertaining when she accepted the Outstanding Performer of The Year Award from director David O. Russell, who said Lawrence was "touched by God" when it comes to talent. During an interview with SBIFF Executive Director Roger Durling, Lawrence talked about her lack of formal training and limited experience before landing her first roles, and her decision to break from independent films and to star in the studio franchise "The Hunger Games." The Social Justice Award was announced and presented at the awards breakfast in the Fess Parker Hotel, where Geoff Green, Exective Director of The Fund for Santa Barbara, presnted Rob Stewart "Revolution" director with the award. The Audience Choice Award went to "Spinning Plates" by Joseph Levy. 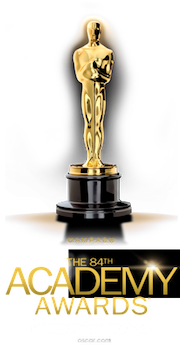 Best Animated Film went to Michael Cusack's "Sleight of Hand", Bruce Corwin best live short went to "Barriers", NuevaVision Award went to "7 Boxes", Panavision Award went to "Baby Girl", Best Int'l Film went to "Coming of Age". 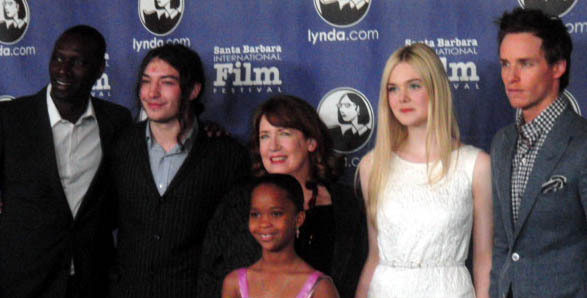 For additional information on the 28th Santa Barbara International Film Festival 3rd Weekend films visit: www.sbiff.org. Best Picture: Amour, Argo, Beasts of the Southern Wils, Django, Unchained, Les Miserables, Life of Pi, Lincoln, Silver Linings Playbook, Zero Dark Thirty. Best Actor: Bradley Cooper, Daniel Day-Lewis, Hugh Jackman, Joaquin Phoenix, Densel Washington. Best Actress: Jessica Chastain, Jennifer Lawrence, Emmanuelle Riva, Quvenzhane Wallis, Naomi Watts. Best Director: Amour (Michael Haneke), Beasts of the Southern Wils (Benh Zeitlin), Life of Pi (Ang Lee), Silver Lingings Playbook (David O.Russell), Lincoln (Steven Spielberg). Set in one of the world�s most famously photographed and written about cities Venice, Italy, APPOGGIATURA (say it: uh-poj-uh-toor-uh) is award-winning playwright James Still�s most recent work. Santa Barbara audiences are in for a moving, funny and intimate journey with three Americans who find themselves in a new, yet in some ways, familiar place 5,000 miles from home. The title of the play comes from the Italian word appoggiare meaning �to lean.� In music, appoggiatura is a note of long or short duration sometimes creating a dissonance before resolving into a main note. And so it is with the play: what begins on a rainy night inside an old-world hotel room in Venice ends on a bright sunny day outside on its streets and campos. The story follows a woman of a certain age who knows this might be her last trip to Italy; her granddaughter who has just graduated from college and has no idea what comes next; and a middle-aged man who doesn't know how to mend his broken heart. Add to the mix their young Italian tour guide who makes up any history he doesn't know, and a collection of roving street musicians. APPOGGIATURA is a play about an American family finding itself by completely losing itself. Italy is a good place to do that. Two years ago, playwright James Still had just finished a five-year cycle of work that culminated in three world premieres within a four-month period. �Suddenly I was looking down an open road again. I could write about anything I wanted. I started writing a contemporary play about a woman who was taking her just-graduated granddaughter in her early 20s on a �grand tour� of Europe,� said Still. He knew the play would be set in Venice, knew there was a shared history and making the trip was important to both generations. Thus began the APPOGGIATURA script. In the process, he realized this play would be better as part of a trilogy, and not the first play. So he put the Italian script and location aside to write the history of the family in THE HOUSE THAT JACK BUILT. Set six months earlier at the family�s home in Vermont on Thanksgiving, THE HOUSE THAT JACK BUILT was work-shopped at the New Harmony Project� (Spring 2012) before its world premiere in the fall at Indiana Repertory Theatre� - where Still is playwright in residence. It also won the Todd McNerney New Play Prize from the Spoleto Festival�. 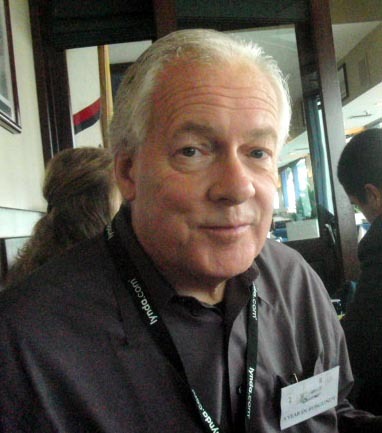 Still has been lauded for his keen ear and ability to capture the lyricism of modern conversations getting to the heart of what makes people tick. Just a few months ago, Still learned the Denver Center Theatre would commission APPOGGIATURA. For Brainin and LAUNCH PAD getting the commission was the next natural step for this play and process. �Crystallizing the idea of a panel I moderated this past October for the National Theatre Conference called �The Role Of The University In The Ecology Of New Play Development,� the preview production of APPOGGIATURA is poised to become a precedent setting project for us. My ultimate goal is for other universities to be excited by this model so that, in a short time, preview productions at universities become a standard way to develop new work in the American Theatre,� said Brainin. APPOGGIATURA reflects the LAUNCH PAD mission exactly and director Brainin has assembled a stellar team of theatre artists she has collaborated with throughout her career: Award-winning playwright James Still; scenic designer Nayna Ramey; lighting designer Michael Klaers; and costume designer Devon Painter; complemented by Santa Barbara�s well-known music director, David Potter. APPOGGIATURA is brought to life on stage by faculty artists Irwin Appel and Anne Torsiglieri alongside theater students Andrea Barborka, Chris Costanzo, Ian Elliot, Sophie Hassett, Dominic Olivo, Julian Remulla, and Sachi Tanaka. In the design presentation on the first day of rehearsal, costume designer Devon Painter described her clothing as �extensions of the scenery. There�s a sense of timelessness in the clothes worn by the locals in Venice.� She went on to share photos of Venetians to illustrate her point � �women still wear house dresses there � the only things that bring them into the modern world are the accoutrements like a cell phone.� She is also devising ways to integrate masks into the production. 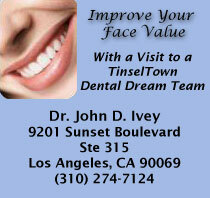 Venice is famous for its Carnivale celebration marking the Catholic celebration of Lent. 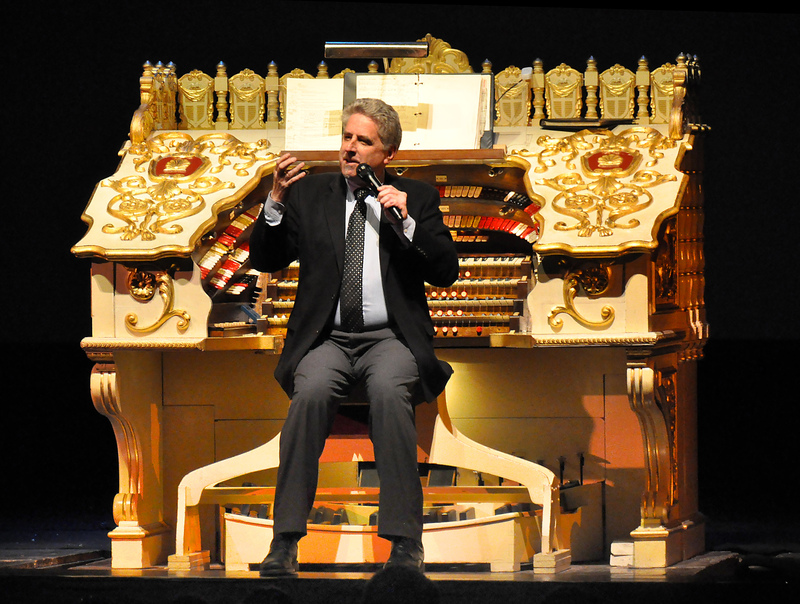 Renowned Organist Dennis James performed original organ arrangements for �Show People� starring Marion Davies and �Cops� starring Buster Keaton during the Santa Barbara Theatre Organ Society Concert at the historic Arlington Theatre to a huge crowd of enthusiastic silent film/organ devotees. 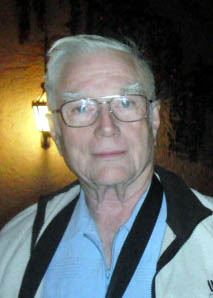 James, who began performing films with orchestras in 1971 and toured with Lillian Gish and Buddy Rogers, has been house organist for the El Capitan in Hollywood as well as Theatre Organist for the San Diego Symphony. He spent some time talking to the audience about the 1928 film �Show People�, which was a spoof on Hollywood film stars, and included cameos of twenty-five silver screen stars. 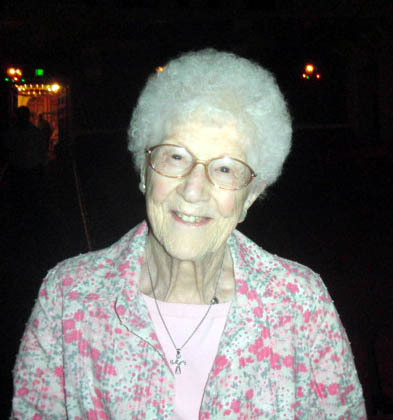 SBTOS President Bruce Murdock and Dennis James led a rousing �Happy Birthday� song to remember the birthday of long-time SBTOS board member George Ferrand, who turns 80 this week, and active community member Edythe Kirchmaier, who turned 105 on January 16th. SBTOS board members enjoyed a traditional pre-event dinner before the concert at Santa Barbara's icon eatery Harry's in the Loretto Plaza, where they hosted Dennis James and shared organ stories. A prize drawing to raise funds for the organization included gifts donated by Arlington Tavern, Jean-Michel Carre' Chocolates and Whole Foods Market. Following the performance Bruce Murdock lead a group of audience members on a tour of the Arlington Theatre Organ. For information on upcoming concerts, open consul opportunities or to make a donation please visit: www.sbtos.org. Giancarlo Esposito (Breaking Bad) and Joshua Michael Stern (Jobs). The Albuquerque Film & Media Experience (AFME) at Nob Hill, June 3-9, 2013, is ready to take the Land of Enchantment to new levels with big programming and names that will make it one of the top movie festivals and destination events for the City of Albuquerque. Michael Stern (Jobs, Swing Vote and Neverwas) amongst many other top names.